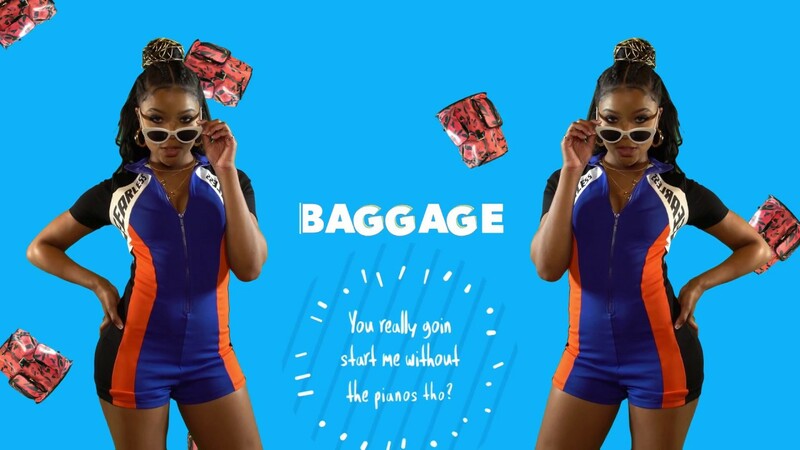 Actress and singer/songwriter Ajiona Alexus - who stars on the Selena Gomez produced hit Netflix series "13 Reasons Why" (season 2 premieres on Friday, May 18th) - has just dropped her new single/lyric video for her song Baggage, a bouncy and super infectious pop track. Watch it below! When she's not busy on set, Alexus spends her time in the recording studio where she's working on her debut album, set to release this month. Born into a family of musicians, Alexus developed her talent and love for music at a young age. She has opened up for artists such as Diggy Simmons (son of "Rev Run" of RUN DMC), OMG Girlz, TK N Cash, and IYAZ. Ajiona has also played young Cookie on Fox's hit series Empire and is set to star in the Lionsgate psychological thriller ACRIMONY as a young version of Taraji P. Henson's character, 'Melinda'. Up next, Alexus is set to co-star in Blumhouse's horror film FAMILY BLOOD which is out today, May 4th, on Netflix. Additionally, Alexus will co-star opposite Gabrielle Union and Jason George ("Grey's Anatomy") in the highly-anticipated Universal Pictures Will Packer-produced thriller BREAKING IN, slated for a wide theatrical release on Friday, May 11th.